​Brightmoor Artisans Collective is partnering with Gleaners to host a six week "Cooking Matters with Kids" course starting January 11th, 2017. The class meets at the Community Kitchen (corner of Fenkell and West Parkway) every Wednesday for six weeks from 6-8pm. After each session, students will bring home free ingredients and recipes to share with their families. If you are interested in signing up youth ages 8-12, or for more information, please contact Brittany Bradd at 313-212-8851. Join us every Monday from 4-5:50 in the Community Creation Space (corner of Fenkell and Beaverland) as we work through our homework, build and program robots, and find and share our superpowers. This is a seven-week adventure (through the end of the year). The more the merrier! Hope to see you soon. 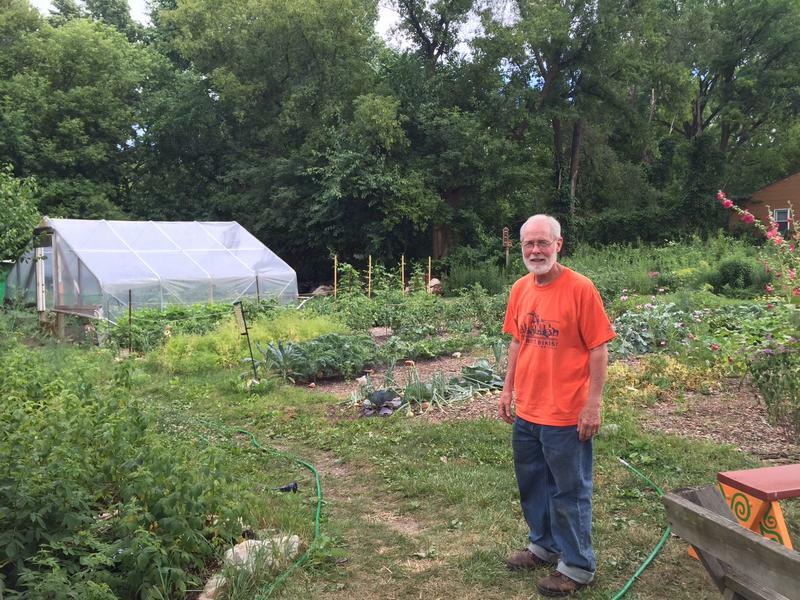 Brightmoor resident Bill Hickey started to feel at home in his neighborhood when neighbors came to help him on his garden. Jennifer Guerro of Michigan Radio did a compelling piece about how abandoned homes batter our immune systems and how strong connections to neighbors strengthen them. Read and hear it here. We get together to play all kinds of games on Sundays at the spiral bench on Lamphere just south of Chalfonte. It's a completely drop-in Sunday funday with games like Scrabble, Pictionary, Uno, Chess, Jenga, Taboo, and cards. Don't see your favorite game listed? We may have acquired it or you can bring it with you and teach folks how to play. If you're feeling like a little more action, we've got some lawn games and some kids are always up for freeze tag or something else wiggly. ​Come join the fun and meet some new neighbors! We meet on the first Thursday of every month to check in with our neighbors, share a meal, and race through what happened last month and what's on the docket for next month. The meetings are open to all and take place at St. Christine's Soup Kitchen at the corner of Dacosta and Fenkell. Chatting and chewing starts at 6:30, the official meeting starts at 7, and we strive to end the business by 8:30. We welcome all interested parties and encourage you come whether or not you've had a chance to whip up something tasty in your kitchen. Sliced watermelon or a carry out pizza are great offerings, and if you don't have time to pick up or whip up something, we still want to meet you! 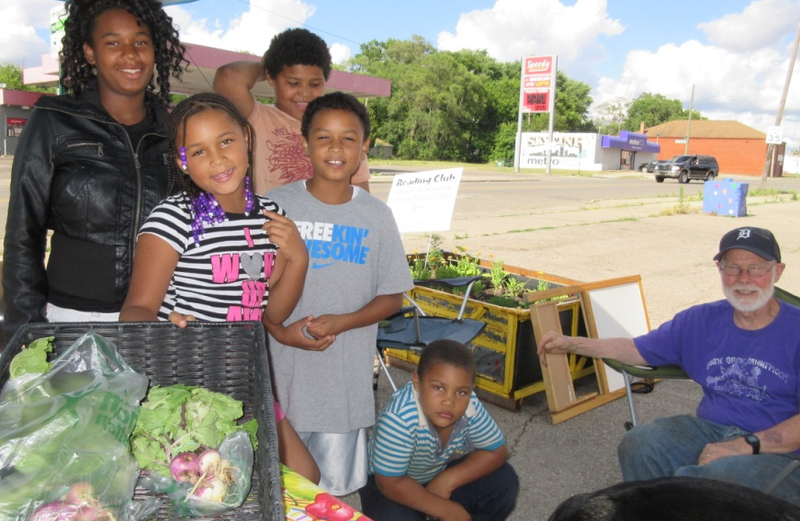 Swing by Fenkell and West Parkside on Fridays from 4-7P and support Brightmoor's young farmers. You'll find super fresh produce, beaming kids, and scrumptious baked goods while helping revitalize commerce in our community. It's an all-around win! Join us at the Urban Country Tea House (corner of Chalfonte and Brammell) for family-friendly movies in the garden on the first and third Tuesdays of the month throughout the summer. Movies begin at dusk. Come early to chat with your neighbors and catch fireflies. "DETROIT (WXYZ) - In a neighborhood known for its blight, seeds are being planted as college students transform not only vacant lots, but also attitudes about Detroit. In an often forgotten corner of Brightmoor, a classroom project is taking root and hope is growing as vacant lots are transformed." Click here to watch the news segment or read the transcript. CITIES | Population loss and official neglect haven’t kept residents of one Detroit neighborhood from banding together to rebuild. "DETROIT—Riet Schumack has lived in the Detroit area since 1991. In 2006 she and her husband Mark, an engineering professor at the University of Detroit-Mercy, moved to Brightmoor, a four-square-mile, hard-pressed neighborhood on the city’s northwest side. Some people call it Blightmoor." "Growing up in the Netherlands, Riet Schumack dreamed of becoming a farmer. But when she married and moved to innercity Detroit, she wondered if her dream was dead. "I hate big cities," Schumack says, "so when the Lord called us [here]—there was no way around it—we spent many years questioning God."" ​Read the entire article here.